MUK LUKS Men's Shoes Just $39.99! Down From $104! Shipped! 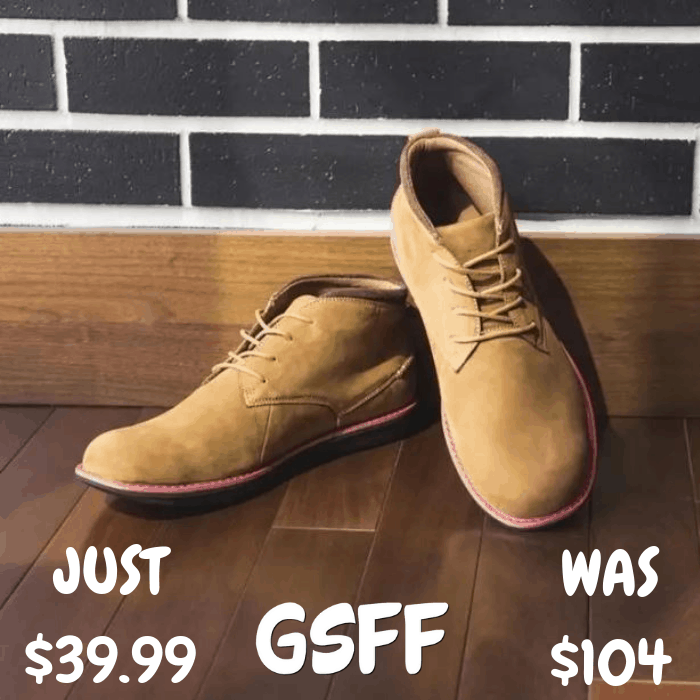 You are here: Home / Great Deals / MUK LUKS Men’s Shoes Just $39.99! Down From $104! Shipped! MUK LUKS Men’s Shoes Just $39.99! Down From $104! Shipped! Don’t miss this deal at Jane! They are offering these MUL LUKS Men’s Shoes for just $39.99 down from $104 PLUS FREE shipping! When style & comfort count, you want MUK LUKS Charlie. Genuine leather and 100% polyester in-sole ensure premium quality and comfort. Water-resistant. Front lace-up style. Multiple colors/patterns available. Wipe with a damp cloth to clean, no bleach, lay flat to dry. Imported.